Susan was born in Boone County, IN. Daughter of Solomon & Harriet Davis Hardesty. 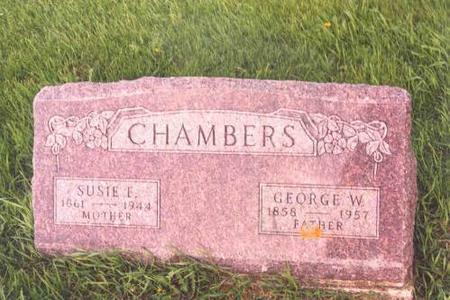 Married George Chambers June 27, 1879 in Urbana, IA. the son of William Chambers and Lucinda Helm Chambers. Searching for SUSAN HARDESTY CHAMBERS in Benton County Iowa?